It was a big night for College of the Ozarks Bobcats, as they defeated A.I.I. opponent Haskell Indian Nations University, 87-60, to collect their 18th win on the season. Prior to the start of the game, senior Heath Carmichael was recognized for scoring his 1,000th career point on January 19th in a Bobcat win over Ecclesia College (Ark.). Following tip-off, the Bobcats scored the first two points of the evening on an Ethan Davidson field goal. The Cats then increased their lead to five, when junior Brandt Cochran (Lawrenceville, Ill.) sank a three-point shot to ignite the crowd, reaching his 1,000th career-point milestone. While the Indians held the Bobcats’ lead to no more than five points in the first five minutes of the game, they were never able to capture the lead. CofO outscored the Indians 44-23 in the half, led by senior Heath Carmichael’s 12 points. For the half, Carmichael added 4 assists and junior Storm Price pulled down five rebounds. The Bobcats shot a blistering 58.6% from the floor and netted nine treys. Haskell shot just 30.3% from the field, hitting only 18.8% from three-point range. 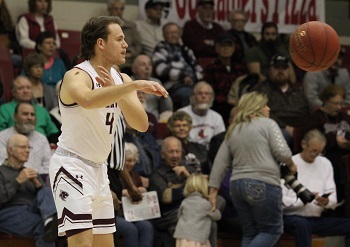 CofO returned to the floor in the second half without their leading scorer, Davidson, who suffered a first-half injury. Despite Davidson’s absence, the Bobcats proceeded to stretch their lead to 27 points with 14:54 remaining. The Indians made a run to pull within 15 points midway through the second half, but the Bobcats rallied with a hot stretch of shooting and extended their lead to as many as 32 points. With 2:23 remaining, Coach Shepherd emptied his bench, and the Cats closed out the game with a 27-point win. The Bobcats shot 51.9% in the second half, going 14 of 27 from the field. The Cats added six additional triples on 10 attempts (60%) to bring their three-point shooting to 51.7% for the game. Haskell improved their shooting to 43.8%, but the Cats’ hot hand was their undoing. The Bobcats had a slight 36 to 33 rebounding and 10 to12 turnover advantage. On the night, the Bobcats dished 22 assists to only three by the Indians. 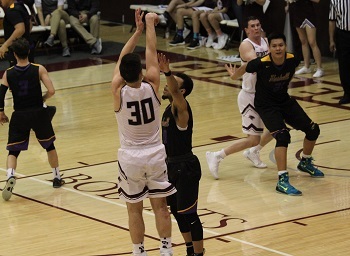 CofO was led in scoring by Carmichael with 24 points, including eight of 11 three-pointers (72%). He was joined in double-digit scoring by Cochran with 18, Treydon Rackley with 12, and Davidson and Price with 10 apiece. Price posted his first career double-double, as he added a game-leading 10 rebounds. Carmichael handed off a game-high 5 assists, and Rackley, Carmichael, and Price each snagged two steals. Klay Barton picked up the lone Bobcat block on the night. 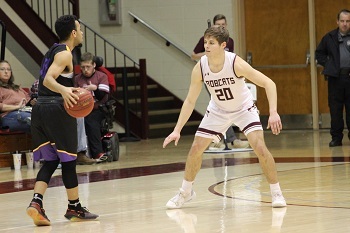 The Bobcats (18-9) will travel to Nebraska on Tuesday to face Nebraska Christian College of Hope, with the game being played at Bellevue University, 7:00 p.m. The Bobcats will return to Point Lookout for their final home game of the season on Saturday, February 16, 3:00 p.m. On the 16th, the Bobcats will recognize their senior leaders. If you are interested in joining the Bobcat basketball team, please complete the Bobcat Basketball Questionnaire.